Have questions about this product (ID: 2193)? Cherry Hill Bathroom Stone Vessel Sink is a hand carved bathroom sink from a single piece of marble made from beautiful Silver Sky marble features gray background color with white veins. Each vessel carved in round design will have its own unique color. 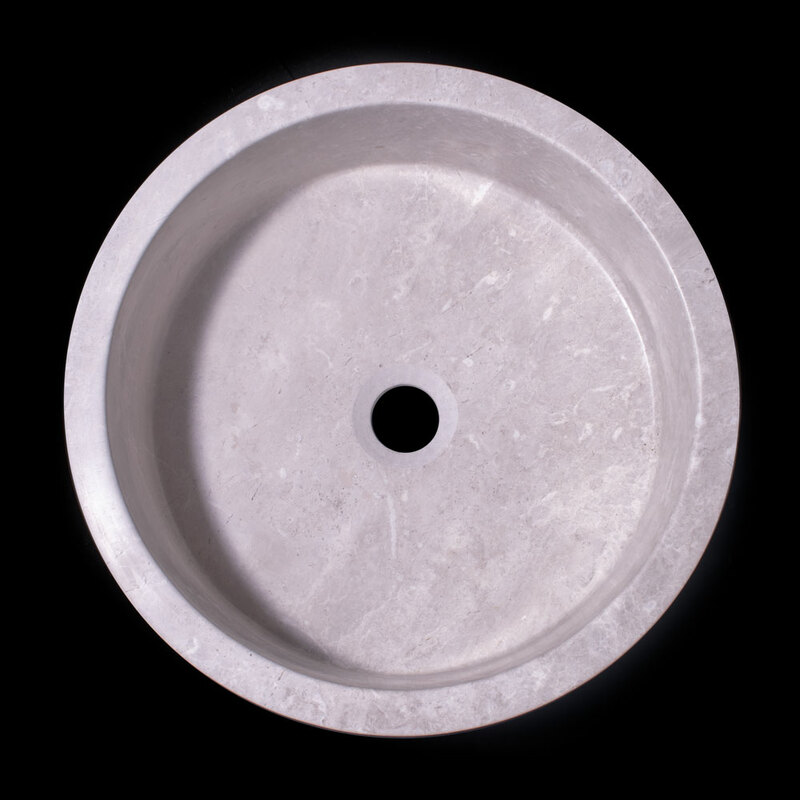 This polished product comes sealed with marble sealer and will require very low maintenance. 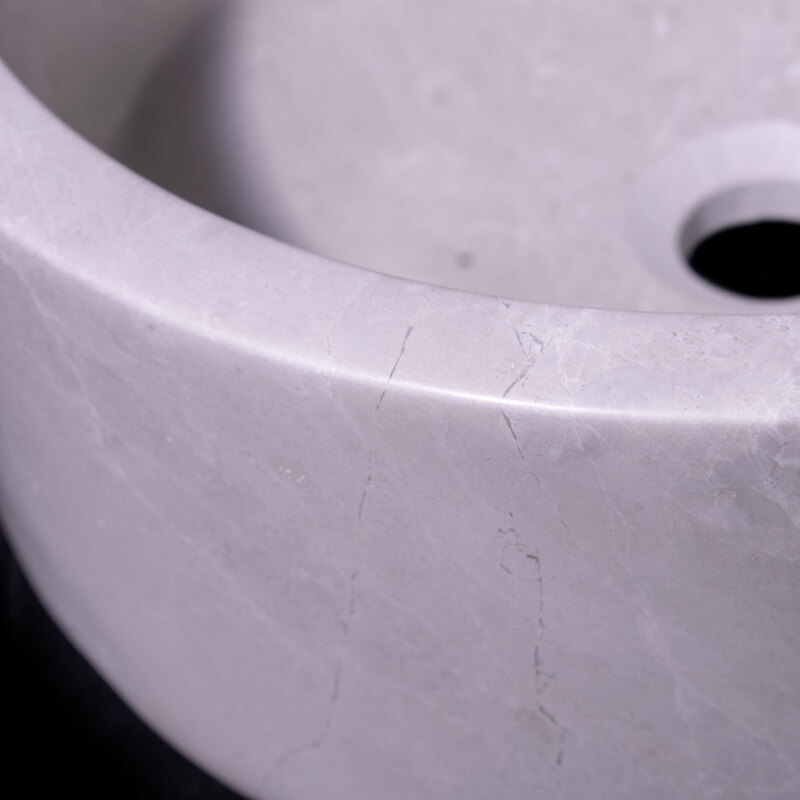 This beautiful vessel sink will bring the elegance and the beauty to your dream bathroom and complete your unique décor.